As 2018 draws to a close, let’s take a look back at the Tax Cuts and Jobs Act of 2017, which was signed into effect approximately one year ago. Entrepreneurs need to understand how it has affected them in the 2018 fiscal year and how it will continue to affect businesses going forward. 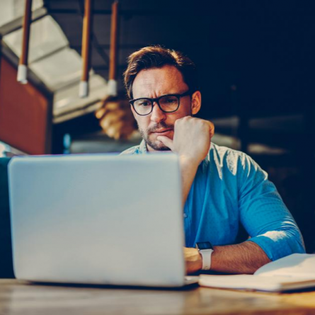 Most U.S. entrepreneurs with global or virtual businesses know about the lowered corporate tax rate, the end of tax deferrals for foreign business earnings and the tax holiday to repatriate those retained earnings. But what do all those business-related provisions in the tax law mean for selecting the best offshore business structure? What are the next steps for entrepreneurs who are still catching up? A tax holiday marks the end of tax deferral. Previously, non-U.S. corporations were allowed to leave earnings abroad in foreign business and defer U.S. taxes on it. This is no longer possible. With the tax reform, all businesses must pay U.S. income tax on retained earnings accumulated abroad. Shareholders must include their portion of the tax-deferred earnings in their personal income if they own at least 10% of the foreign company. The effective tax rate is 15.5% on cash positions and 8% on real estate and other non-liquid holdings, significantly lower than the previous corporate tax rate. Many international companies have been waiting for a tax holiday like this. This means that companies such as Apple and Google and expat entrepreneurs can bring their money back to the U.S. at only a 15% tax rate. They can spend it on ventures and expansion in the U.S. rather than having the cash locked up abroad. However, this is not always a good thing. Some entrepreneurs who were already paying taxes in another country would still have to pay this tax, without a foreign tax credit, so they are essentially being double taxed. It’s a double-edged sword. The tax due on those retained earnings can be paid over an eight-year period. For this, the taxpayer must have made an election and paid the first installment by the tax due date, April. The due date for expats is June 15. There is a GILTI tax on foreign business income. Going forward, foreign business income represents a new income category called global intangible low-taxed income, or GILTI (pronounced “guilty”), and is subject to the new GILTI tax. GILTI is defined in section 14201 of the tax law referenced above, Subpart B, Chapter 1. Before the tax reform, income from a foreign corporation was taxable for a U.S. person only if it was received as a dividend. Now, shareholders of controlled foreign corporations (CFC) with 10% ownership must include their portion of the foreign income on their personal tax returns. The IRS defines a controlled foreign corporation as any foreign corporation in which U.S. shareholders have more than 50% of the control or more than 50% of the value. U.S. shareholders of a C corp can reduce this new tax rate to 10.5%, half of the domestic corporate rate. They can also apply foreign tax credits, which lowers their U.S. tax bill even more. Individuals and trusts, however, cannot use the 50% deduction. There are additional requirements for the lower 10.5% GILTI tax rate. The international business cannot engage in U.S. trade or a U.S. business. For example, Amazon resellers using direct shipping or online businesses with a membership site would be eligible for the low rate. However, if you have U.S. operations or a “dependent agent,” meaning an agent or representative that works exclusively for you, you won’t qualify. There is an FDII deduction for foreign-derived intangible income. If your business doesn’t qualify for the low GILTI tax rate, it might still qualify for an unprecedented low tax rate of 13.125% when selling services or products to customers located outside of the U.S.
FDII, or foreign-derived intangible income, is already included within the U.S. taxable income of the corporation. The new FDII rules basically provide a deduction for eligible income. Only C corporations can use the FDII deduction, including C corp subsidiaries of an offshore or multinational business. Foreign corporations with income that is effectively connected with a U.S.-based business are not eligible for a FDII deduction. S corporations, regulated investment companies, real estate investment trusts, partnerships and individuals are also not eligible. FDII rules to determine the foreign-derived income eligible for deduction are complex. The basic concept is that the income is earned for providing goods or services to persons outside the United States. Even when you live in the U.S. and have deemed effectively connected income in the U.S., you can still take advantage of a new low effective tax rate of 13.125% if you meet the qualifications. Although you can’t completely avoid U.S. tax with an offshore structure anymore, it still offers immense tax savings opportunities, as well as asset protection. The tax rate on earnings from a foreign subsidiary can be as low as 10.5%, half of the domestic corporate tax rate and low by world standards. You can even lower it to single digits by other tax strategies such as deductions and setting up a solo 401(k). In some aspects, the new tax law allows for greater flexibility and tax planning than the old deferral scheme if proper planning is done. But the tax legislation changes make for even more complexity and thus require in-depth scenario analysis. Taking into account the type of business, location and the long-term plans for the shareholders will determine the best scenario. If you haven’t done so already, elections and decisions under this law should be made sooner rather than later, including electing the payment plan for a tax on retained earnings or forming a C corp holding company.